Awning windows are hinged from the top, and open from the bottom. The window screen in placed on the inside of this window to provide an extra layer of protection from the outside world. This feature is great in the summer and fall time. 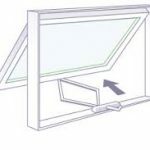 The window can be opened by using a hand crank at the bottom, allowing you to enjoy a nice breeze without letting unwanted bugs and leaves into your home. You can even open awning windows in a light rain and not worry about moisture inside. These windows are great for basements because they can be placed high on the wall. This allows you to add some natural sunlight to even your darkest basement rooms. Plus, the crank handles located on the bottom of the window makes it easy to reach and open the awning, even if it is located a little higher than a normal window. These windows are perfect to compliment one of the other larger, non-functional frames, such as a picture style window. Complimenting your picture window with awning windows mean you will still be able to enjoy a outside breeze with the simple turn of a handle. Since awnings are a little smaller than typical windows, they can be placed above, or on the sides and still look great. Essence: Essence is a high-end wood window line from Milgard. Essence windows will provide a timeless look to any room they are installed into. You will be able to pick from three different wood finishes on the inside, and 16 different colors for the vinyl exterior layer. Tuscany: The Tuscany line is Milgard’s premier line of vinyl windows. Milgard extrudes all of their own vinyl for its windows. This allows them to control even the smallest details of production from the formula of the vinyl mix to the custom measurement and cutting done to each window. Tuscany windows also feature MIlgard’s Smart-Lock technology. Smart- Lock is the first window lock technology to receive an Ease of Use commendation. The Tuscany line is available in two interior colors, and 8 exterior colors. Montecito: Builder Magazine’s deemed Montecito the Most Used Vinyl window, Best Quality Vinyl, and Most Used Patio Door Brand. The Montecito line is specifically for new construction builds. 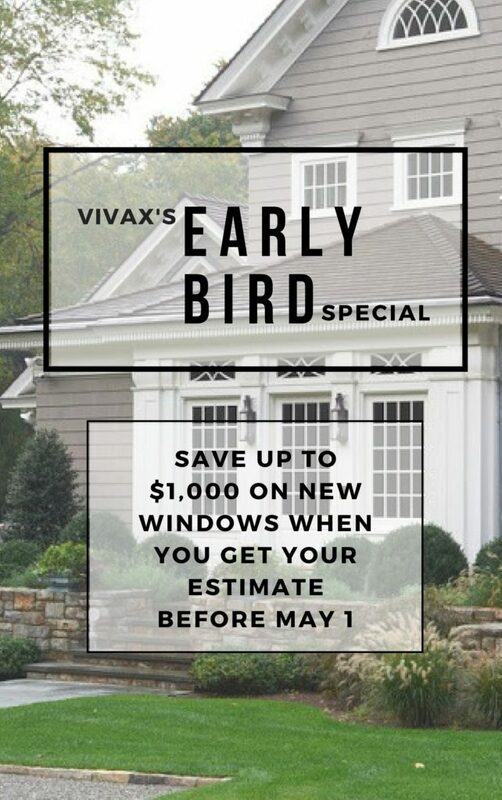 If you are building a home, there is no better window to use. Style Line: The Style Line window is designed for a slimmer, more understated look. With a slimmer profile for the trame, neutral colors on the vinyl, and no grids, Style line is the perfect window to create a continuous picturesque view to the outside world. They also feature a fold away handle to create a smooth sleek look. Ultra Series: This windows is great for unpredictable climates such as Colorado. The Ultra line is made of fiberglass. This mean that the frame itself, as well as the glass inside of it, expands at the same rate. Since the whole window is expanding and contracting at the same rate, it allows for a much more reliable seal. They are also available in four interior colors, and seven exterior colors. Quiet Line: If you live around busy areas like highways, airports, downtown, or train tracks, you will love these windows. Quiet Line is engineered with two layers of glass that is fused together. Since one layer is thicker than the other, it allows sounds waves to be distorted and muffled. This breakthrough design with drastically reduce your noise penetration, and allow you to enjoy some peace and quiet.